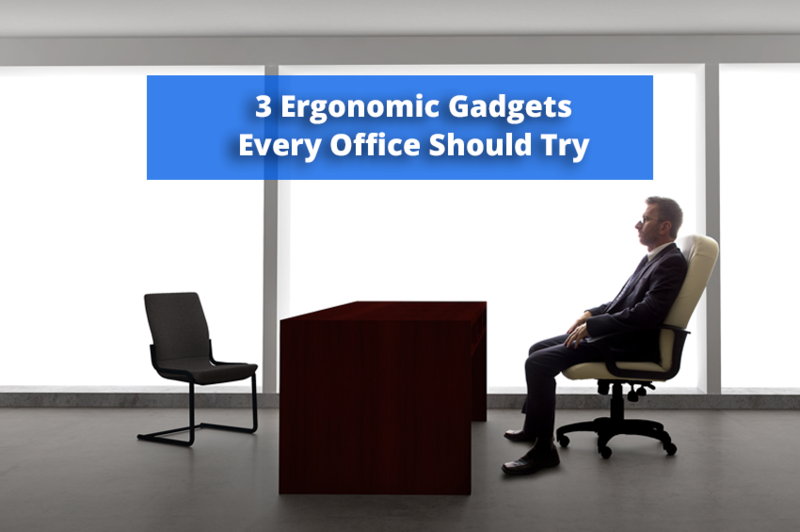 3 Ergonomic Gadgets Every Office Should Try - Solutions Northwest, Inc. If you’re like most American office workers, you likely spend a lot of time on the computer. In fact, “the average American worker spends 7 hours a day on the computer” says a 2015 American Eye-Q study. Working on the computer for extended periods of time can take a toll on your body, especially if you aren’t proactive about researching what tools work best for your workstation. While it is always recommended to perform an ergonomics assessment of your workspace, this ergonomics blog will explore a few computer peripherals designed with computer ergonomics in mind. While no tools provide complete protection from carpal tunnel syndrome, the trackball requires much less movement and is considered by some to be a carpal tunnel relief gadget. A trackball mouse, like a traditional mouse, is a pointing device. Unlike a traditional mouse, it remains stationary and has a ball on its top or side. In addition to the ball, a trackball commonly has one or more buttons that work like mouse buttons. Operating the trackball with the three middle fingers reduces two ergonomics risk factors: static gripping and repetitive wrist movement. Take a more in depth look at trackballs in our blog about switching to a trackball mouse. There are many varieties of ergonomic keyboards such as split and contoured, but the split keyboard is a great way to reduce muscle strain and reduce the risk of carpal tunnel or other repetitive strain injuries. Split keyboards that split into independent pieces are sometimes referred to as adjustable split keyboards. 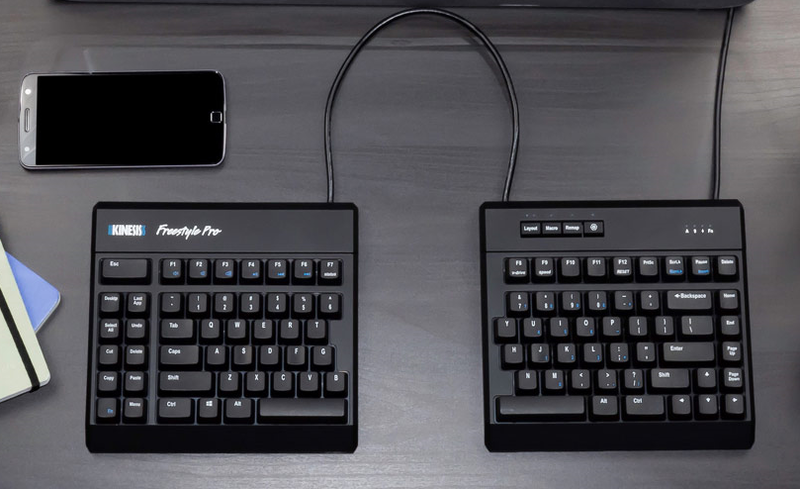 This type of split keyboard will allow you to move the keyboard into a comfortable position, allowing one to easily relax the wrist or entire hand. When a split ergonomic keyboard is needed, we suggest taking a look at our article on the Kinesis Freestyle Pro. You may have never heard of computer glasses, but with digital eye strain or computer vision syndrome being so common in today’s work place, products like computer glasses have started to gain interest among office workers. Computer glasses look just like regular glasses and are usually around the $50 to $100 price range. Unlike regular glasses, computer glasses are designed with an anti-reflective coating to reduce screen glare and harsh light. Most of these glasses will also filter the blue light that your computer screen emits. Filtering blue light should reduce negative symptoms of staring at a screen and make it easier to perform your daily computer work. Feeling headaches, eyestrain, blurred vision, dry eyes, or even neck and shoulder pain can be reduced. In fact, your posture may improve as well because you won’t have to hunch closer to the screen as much. For an in depth look at computer glasses, check out our blog article on the subject. Remember to always consult with your doctor to rule out any possible underlying cause of pain. Whether you decide to try computer glasses, split keyboards, or a trackball mouse, be sure to communicate with your staff or co-workers to see if they’d like to try any of these products. Additionally, be sure to perform an ergonomics assessment to ensure office safety. For more guidance on all work related health and safety issues, visit your ergonomics experts at SolutionsNW.com or Contact Us for more information. Be sure to subscribe to our blog for more ergonomics tips from Solutions Northwest Inc., ergonomics consultants located in Washington State, Northern California, Oregon, Seattle, Olympia, Tacoma, and Portland.